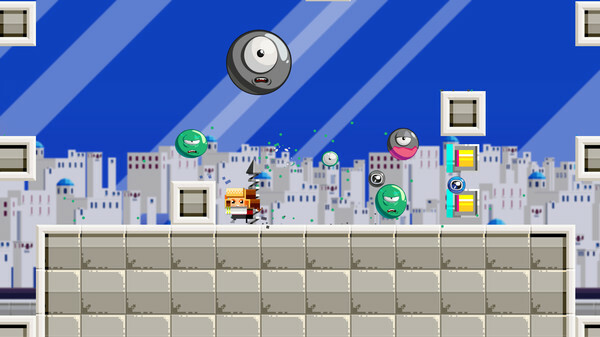 In Spheroids you take control of Lucas, a jumpy Canadian boy who sets out on an adventure with his crazy scientist companion Otto after it´s discovered that the government has been hiding alternative universes from the cubic world they live in. 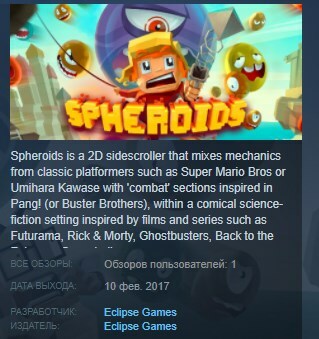 Unfortunately, these alternative universes contain spheres that wish to turn everything round, so it´s up to Lucas to save the world from these dangerous aliens: the Spheroids. 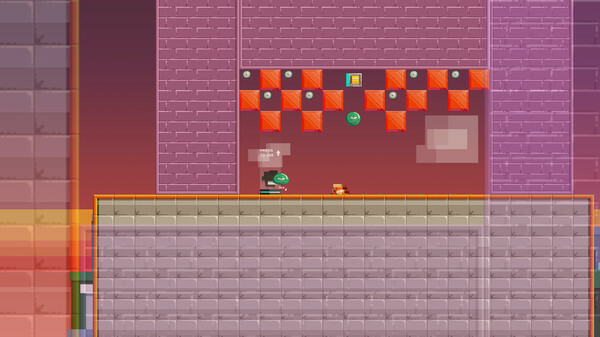 Throughout Spheroids 32 levels, you´ll encounter many different environments, with multiple hazards to avoid and enemies to destroy. 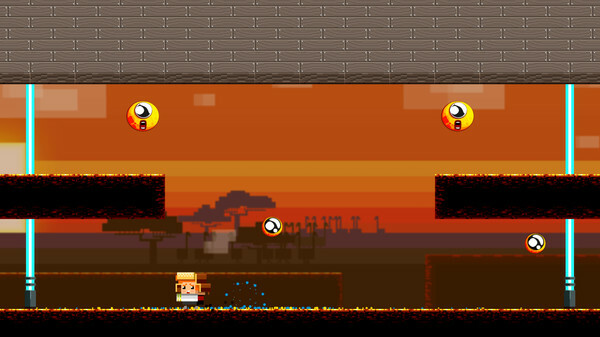 Items such as the Modified-Drilling-Hook Otto lends Lucas will help you traverse the environment with ease, with many more to find throughout.